After a month of rigorous testing, the results are in! Read on to discover which products came out on top, with our comprehensive run-down of the best running gear of the year. Whether you’re after race-ready shoes or top-of-the-range tech, choosing the right kit can seem a daunting process. With so many products and brands on offer, your options are limitless. 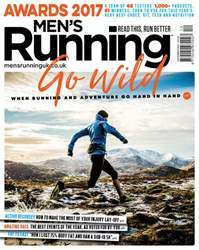 Which is where we come in… Each summer, we put a huge array of running-related products through their paces, giving you our honest and unbiased verdict, so you can make an informed decision before parting with your cash.